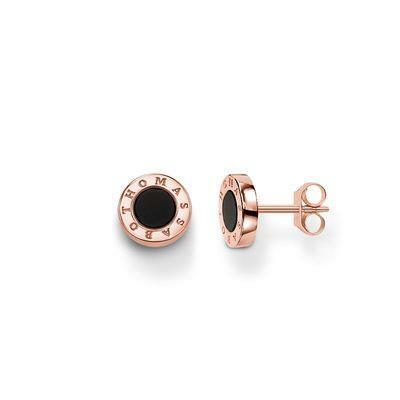 These versatile studs by Thomas Sabo are part of the GLAM & SOUL collection. Made from 925 Sterling Silver and 18ct Rose Gold Plating with dazzling Onyx centres, these classically elegant earrings are perfect for any occasion. These studs are 90mm in size.